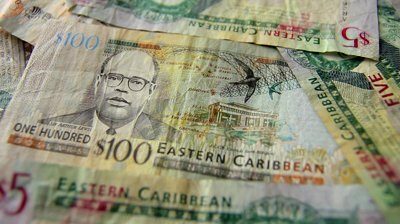 The Customs and Excise Department has collected EC$10 million more than its target as of October 2014 — as a result, Carlyle Felix, Comptroller of Customs has disclosed that the department is poise to surpass its target for 2014. “The target set for 2014 was EC$218.8 million and thus far we have collected EC$186.1 million. We are well poised to collect revenue ahead of our target for any one year,” Felix said during an interview with Inside Finance — an educational outreach programme of the Ministry of Finance. “Right now, at the end of October we are EC$10 million ahead of the target we were supposed to be at the end of October, so we are doing pretty well in terms of collecting revenue” he said, while explaining that the increase at the Customs is an indication that there is growth in the economy. Felix said that the increase revenue is based on a number of factors working together to bring benefit for the country. “We are seeing increasing volume of cargo at the ports, government as you know have taken measure to tighten up in the area of concession, and we have also implemented other initiatives that are beginning to bear fruits. combination of all these factors are contributing to what we are seeing now” he said. The Customs and Excise Department is one of the most important revenue collection point for government. Earlier this year, Permanent Secretary Timothy Antoine disclosed that both the Customs and Inland Revenue Departments were meeting their monthly targets. Parliament also approved changes to increase the excise tax on Rum and Cigarettes.